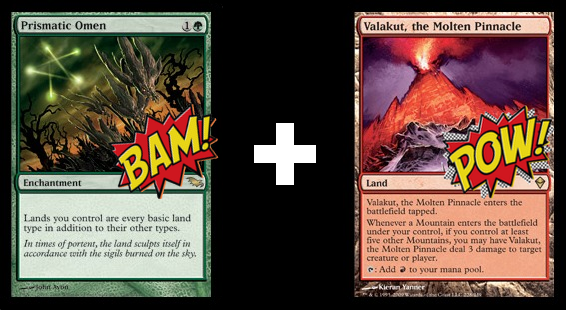 If you like Lightning Bolt in 60-card Magic, you’ll love this duo–call it Commander’s version of the ol’ zap-for-3. Whether it’s a Maze of Ith, a Mouth of Ronom, or a good old Mountain, every land drop beyond the 5th is fryin’ some face. Gruul decks often have an affinity for Forests (e.g. Rofellos, Llanawor Emmisary or Howl of the Night Pack). By using Prismatic Omen, you can keep your Forest count high and still heave hot magma into your opponents’ living rooms. If you go this route though, you’ll want to be sure and have a few ways to dig up the combination. If you’ve ever played against a well-crafted Ruric Thar deck, you’ll know there are times when you want to hold your noncreature spells back for fear of Ruric’s damage blasts. 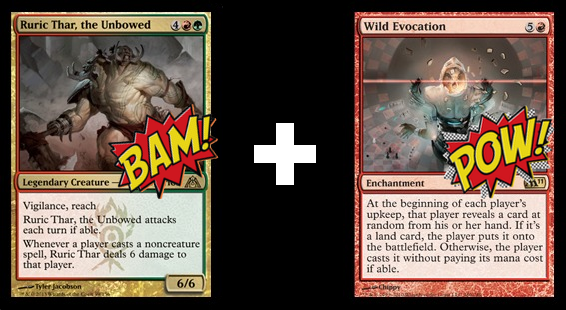 Pairing Ruric with Wild Evocation in your own red-green deck can put your opponents in an even tougher spot by potentially forcing them to cast their noncreature spells and take 6 to the noggin. This pair is the world heavyweight champ when it comes to dishin’ honkin’ heaps of health loss. A lot of Commander players would be OK “just taking 8” in order to keep their quality would-be blockers kickin’–this is when you pump a Rush of Blood to the Heads and slam the table for 48! (You know, supposing 8 lands out and a 4-way game). So there you have it! 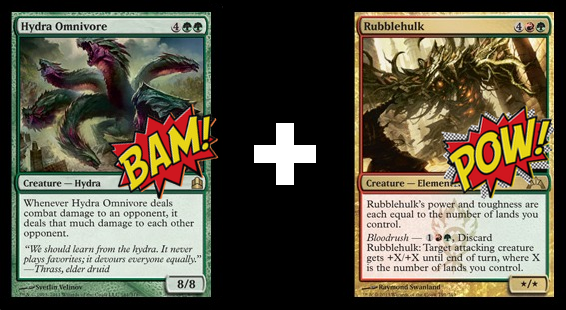 Three one-two punches you can try pulling on your friends in your green-red deck. 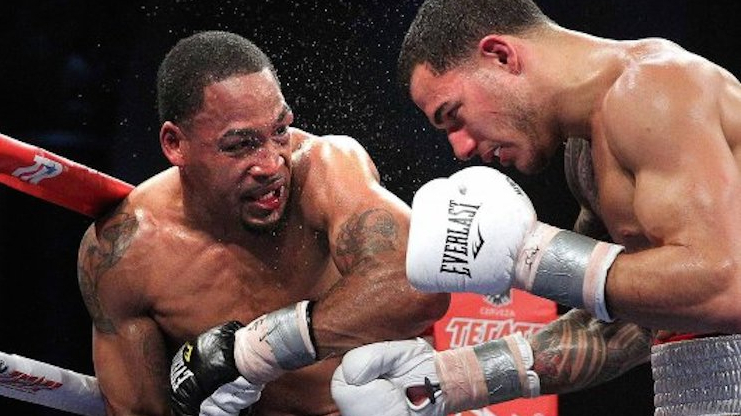 What are your favorite one-two punches in the land of Gruul? Let me know in the comments section below.